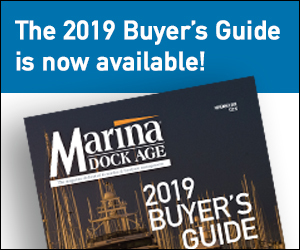 The Marine Retailers Association of America’s (MRAA) Annual Conference & Expo (MDCE) will introduce a new name, location and format for its 2019 show. The 2019 MDCE will relocate to the Tampa Convention Center in Tampa, Florida. The MRAA staff has worked with a marketing agency to develop a new conference name and a branding campaign that will also be introduced after the close of this year’s event. Over the last two years, MRAA has invested in the research and study of the latest trends and developments with annual conferences by attending several event-focused programs and retaining the services of an event consultant. The organization has also added to its internal education and events staff and next month will convene an industry strategy session with leading dealers and suppliers. The MRAA Annual Conference & Expo originated in 1977. It has evolved several times over the years, leading up to 2008 when it was rebranded as the Marine Dealer Conference & Expo. MDCE has been co-produced with Boating Industry magazine since 2008. For 2019 and beyond, MRAA’s Annual Conference & Expo will take on a new name and will be brought back in house to be produced entirely by MRAA.